I had these dream this summer of communing with nature, with J. But the truth of it is, he’s a city boy... and I’m a city girl. 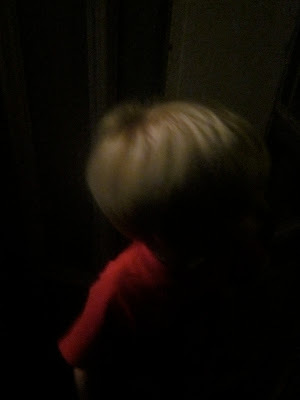 Our evening looking at stars at my parents place turned into 5 minutes of “it’s dark out... go inside!” (repeat...). But we came home, and hiked Glen Canyon: J loved it. Maybe because He could still see buildings? My brother-in-law thinks perhaps it’s being able to see open sky (previous hiking attempts were more wooded). Tonight we sat outside, in the heat, at twilight, and watched the sky turn to velvet. J took a picture or two, and said it was pretty. From our house we have wide open sky, and buildings. The majesty of the west coast is so different from the delicate miniature scale of the east coast. Maybe he just needed it bigger? So Wednesday we’ll attempt the Nike missile range: wide open sky, views of the whole Bay.